I met with Héloise at her Parisian apartment, where she works and lives with her husband photographer and their two young boys. This was the first interview I was doing for The Creatress, back in December. I showed up excited -- and admittedly, a little bit anxious. I had a brief hesitation on which doorbell to ring: I was looking for "the door with the black baby stroller in front." This instruction which sounded straightforward was now leaving me perplexed. How many baby strollers can one find in a bourgeois building in the 10th arrondissement? I finally found the right doorbell and her husband welcomed me with a friendly smile. Inside, the living room was quite dark despite the high ceilings and large leaded windows. The muggy weather was pouring a shade of sticky grey all over Paris. In the midst of this oppressive darkness, I found Héloise radiant in her elegant living room. We had first met in Marrakech a few weeks earlier, and she was harboring the same sunny smile despite the 25-degree difference. She had thoughtfully disposed of a bowl of chouquettes on a low Moroccan tea table. I had brought orangettes, strips of candied orange peel dipped in dark chocolate. Yes, like a ray of sunshine on a cold winter day and thus my favorite gift at that time of the year. Héloise started brewing a chai tea, which added to the already cozy atmosphere. We both sat on the azilal rug, neglecting the comfy sofas. She started telling me her story, nibbling on sugary puffs and bittersweet treats. Around us on the hardwood floor, a few black and white photographs leaned nonchalantly on the walls. A large mirror was watching us from above a marble chimney. A big stack of cardboard boxes had invaded a wall. -- soon to be sent to lucky subscribers, the "Dear Santa" boxes from Miss Maggie's Kitchen. When we first met, I immediately noticed her warm, inviting smile. Héloise could be cast as a French Ali McGraw: a tall, cheerful brunette with a flair for boho-chic pieces. As a natural woman wearing vibrant colors, the day of our interview she wore an embroidered sweater with a pair of trendy cropped flared jeans. And a pair of white Stan Smith, bien sûr -- her comfy-cute look exuded relaxed confidence. It is always interesting to know how someone's success story began. One version of Héloise's story could be that she started a new business after two decades working in fashion. It makes for a good story. But as for everybody, there is an even greater story. One that I was fortunate to hear and that left me even more appreciative of her work, and of her big heart. Born in France, Héloise grew up in the United States where her family had relocated when she was 7. After high-school in Florida, she headed to Boston in the 1990s to study Psychology and Philosophy. There, she developed a taste for Indian Summers and crisp Falls, which you can trace today in her recipes. Psychology! Philosophy! As a young adult, Héloise had deep and altruistic interests (did she realize it then?) but didn't quite know what career to pursue. She must have been pretty smart already since she received all her credits in only three years of college. But Héloise was also a free spirit with a wanderlust, who wasn't too thrilled to enter the workforce at 21. What to do then? Her parents encouraged both travels and studies. So Héloise decided to use her fourth year of college to extend her studies. She went on student exchange for six months in Madrid, and enrolled for another six months to a "Semester at Sea." A study-abroad program run on a (modest) cruise-ship! Along with other students with the same thirst for adventure, she aspired to discover the world. And together they embarked on this extraordinary voyage. The classes were taking places during the days at sea while the days on the ground focused on the discovery of new cultures. (I am burning to know what have her classmates become but that's another story). The boat departed from the Bahamas, then headed to Venezuela then Brasil: they stopped in Salvador de Bahia during the carnival. But the trip was about more than just fun and parties: the group also visited the favelas. Then, their ship crossed the Atlantic with Reverend Desmond Tutu aboard. In South Africa, they visited townships. There, a woman took Héloise in her arms and said: "I know you have much more money than me since you are here and I won't ever be able to visit your country. But you are a sister to me since you came here and are interested in my life." Then on to Kenya, India, Malaysia, Vietnam, Hong-Kong, Beijing and Japan before heading back to the US. The trip ended in Seattle for the group but left Héloise with lifelong memories. Touched by the grace of the people who possessed nothing yet had a golden heart, she was deeply moved by the hospitality of the strangers she met. In the course of our conversation, I sensed that these encounters must have influenced her inclination to give back. It was also during this trip that she grew a passion for photography and even contemplated becoming a photo reporter. 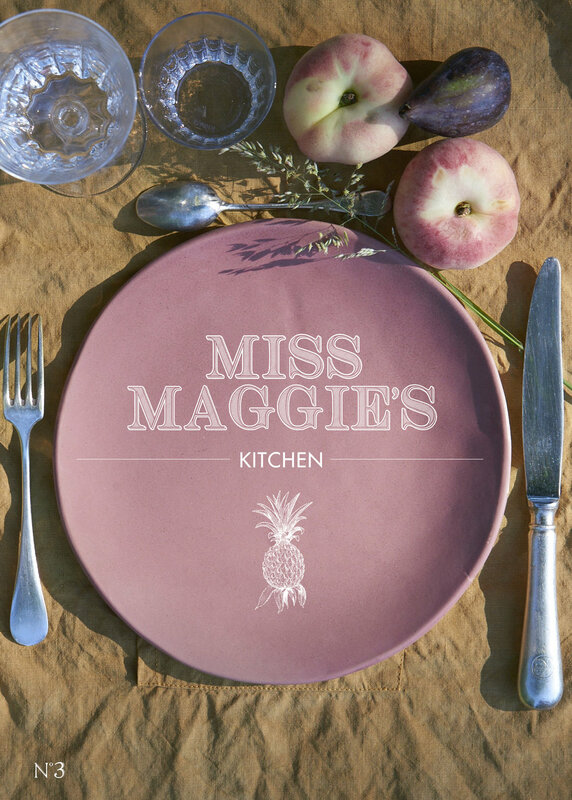 This may be where the story of the passionate woman behind Miss Maggie's kitchen begins. Her passion for sharing about the world, and more importantly with the world. After this life-changing trip, at 21 she burned to go live the romantic life in Paris. Smoking cigarettes in a studio apartment and arguing with friends at a café quoting Sartre and Merleau-Ponty seemed to be what life should be about... I am romanticizing that part -- but remember, she did study philosophy, didn't she? Luckily, she was hired at the International Herald Tribune thanks to her photo skills. The journal's office appeared to be a welcoming cosmopolite bubble in Neuilly, a chic suburb of Paris. She started as an assistant in the beginning-of-the-Internet era, before working at the photo desk. This is how she became pals with Suzy Menkes, amongst others. I know - wow! Mrs. Menkes and Jessica Michault, her assistant at the time, acted like fairy godmothers when they encouraged her to apply for a job at the Calvin Klein's French office. At that point, Héloise was not yet contemplating a career in the fashion industry. Fashion had never been a dream for our big-hearted traveler, but she landed the job anyway (told you she was smart!). At Calvin Klein, she learned a sense of rigor. She also started to decide for herself what values to cultivate -- and what were the traps to avoid. The perpetual frenzy in the fashion business sometimes left her uneasy. Slowly, she started making a name for herself in Press Relations. A self-starter and somewhat of an outsider, one day she negotiated to attend the New-York Fashion Week by proposing to pay for her plane tickets. A favor her management could not decline... From then on, her resume is glowing with the names of prestigious fashion houses. As she climbed through the ranks, she made sure to remain grounded. Keeping a strong sense of perspective, she always aimed to inspire her teams to keep the big picture in mind. One of her mantras has been: "We are in PR, not ER!". At Roger Vivier, she got to work with Bruno Frisoni and Ines de La Fressange, with whom she remained friends. She was later involved in the re-birth of Schiaparelli. In late 2016, after a 20-year career in the fashion industry, she decides that it is time for her to do something else. What? She isn't too sure then, but the need for a change is becoming apparent. She feels exhausted both physically and mentally. Doctors diagnose a burnout. She just turned 40 that year, and the idea of working on something for herself is taking more and more space in her mind. An energy healer in Ibiza, feeling her tension, reminds her that "life is now. Life is not a dress rehearsal..." In November of that year, Héloise leaves her job. Her morale is at a low point. Hoping to lift her up, her husband Christophe encourages her to have a project of her own. Héloise loves to cook, for example. Since everybody always asks for her recipes -- why not write a recipe booklet for friends and family? Starting from scratch, she discovers In Design. 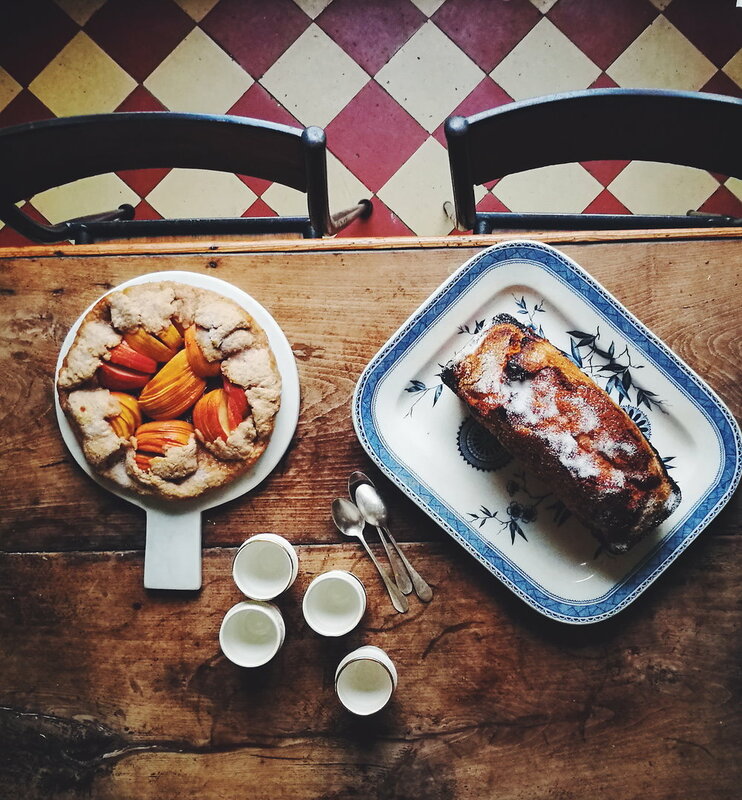 She writes the recipes that she enjoys cooking in their country house in Normandy for big tables of friends, or with her two boys. 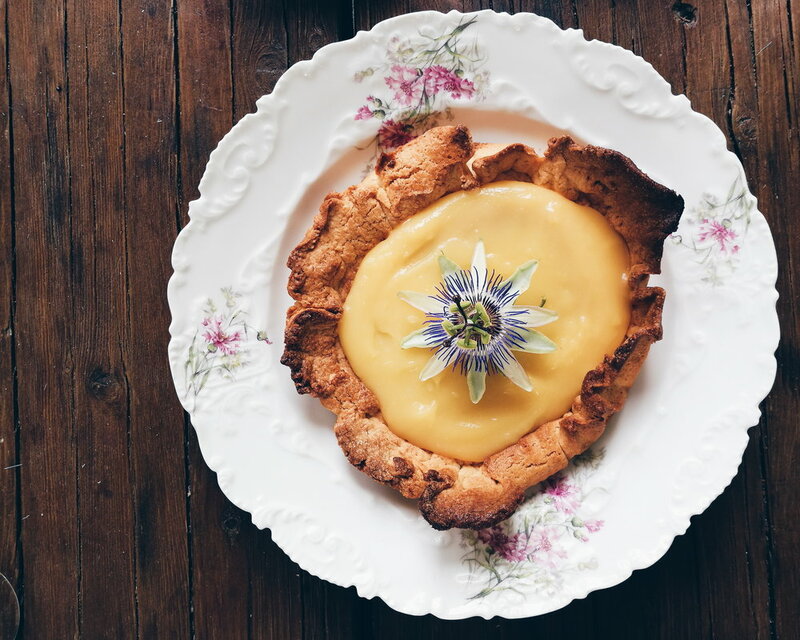 She sends her recipe journal to 100 people: friends, acquaintances, and some press. The journal is a hit; everybody loves it. 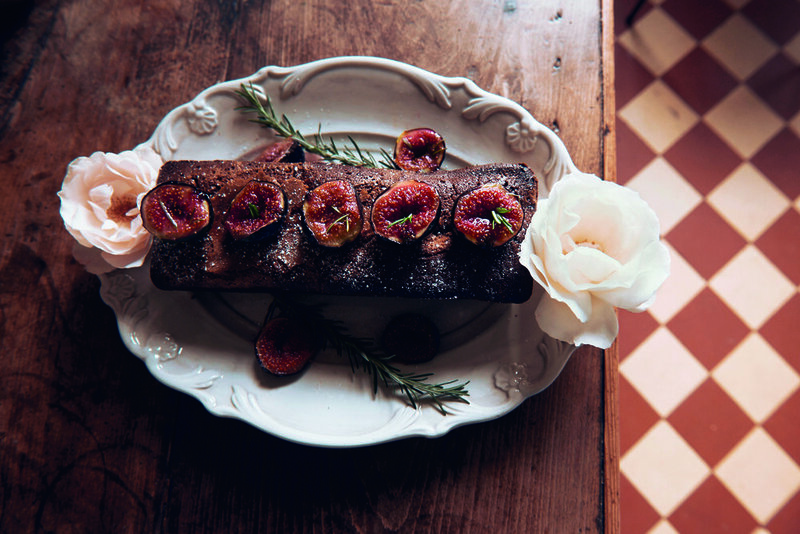 The object itself is beautiful and the generous rustic recipes all have a wow-factor. People are asking for more: they all want to get the Spring edition! So, Héloise plans on releasing another journal in March 2017 -- that one in French. Upon her return to Paris, she contacts Action contre la Faim (Action Against Hunger). Very modestly, she approaches them with her plan -- she has 100 Instagram followers and a big dream. She is planning a small launch in Summer with 50 boxes to start, and she will give back 10% of her revenue to the NGO. They are thrilled. As for her business' name? It will be an homage to the country house in Normandy, affectionately named "Miss Maggie" by the family. The house, tall, looks like "an old British lady" and is inhabited by a mischievous spirit. 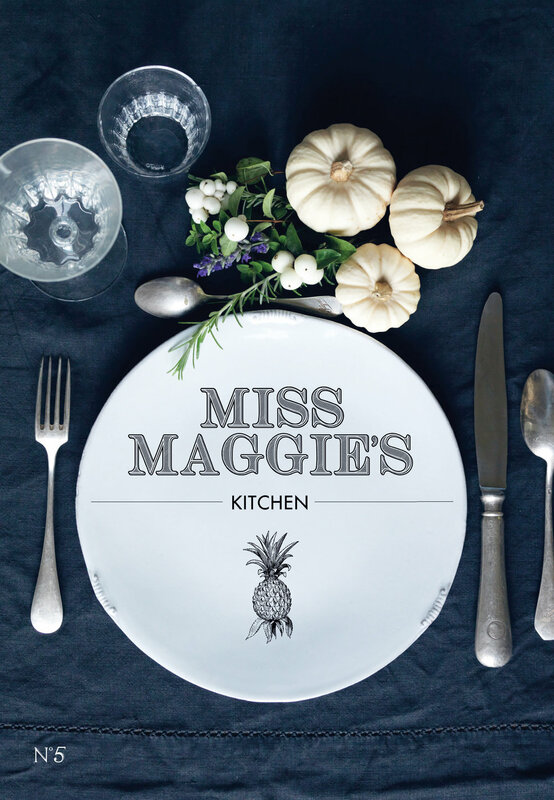 Miss Maggie's Kitchen is where the magic happens! Relieved -- but not for long. It is time to think about what will go in the first box. Where to start? Héloise remembers these spoons she got in Marrakech from the hip Moroccan brand Chabi Chic that her guests keep complimenting. Now re-energized, she contacts the two founders Vanessa and Nadia to lay out her plan. She has 120 Instagram followers by then... Progress! She convinces them to take part in her adventure: her network in the fashion world is quite impressive, and her taste can be trusted. Seduced, the women from Chabi Chic gift her the first 100spoons to encourage her new venture. And the little gifts multiply, from the various brands she contacts. 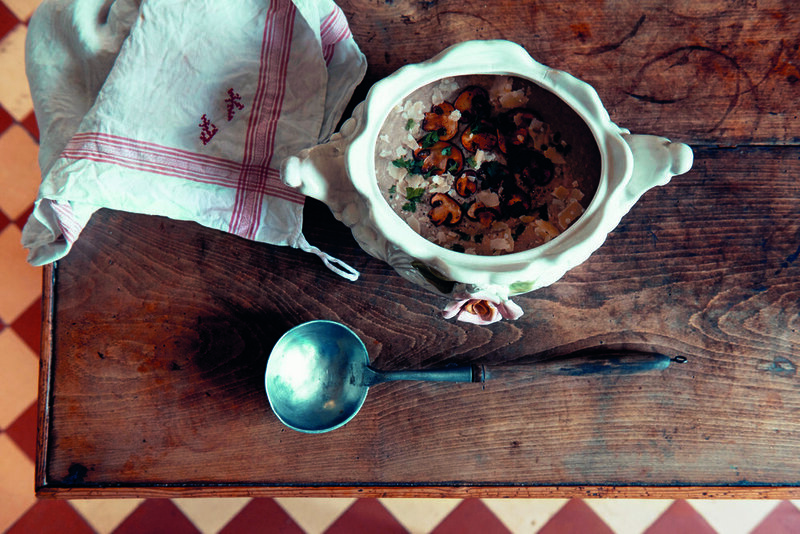 She even undertakes the home-dying of 80 aprons with vegetal ingredients to provide what she has precisely in mind. She pours her heart and soul into the boxes and sets up shop -- online. She packs everything herself, by hand. 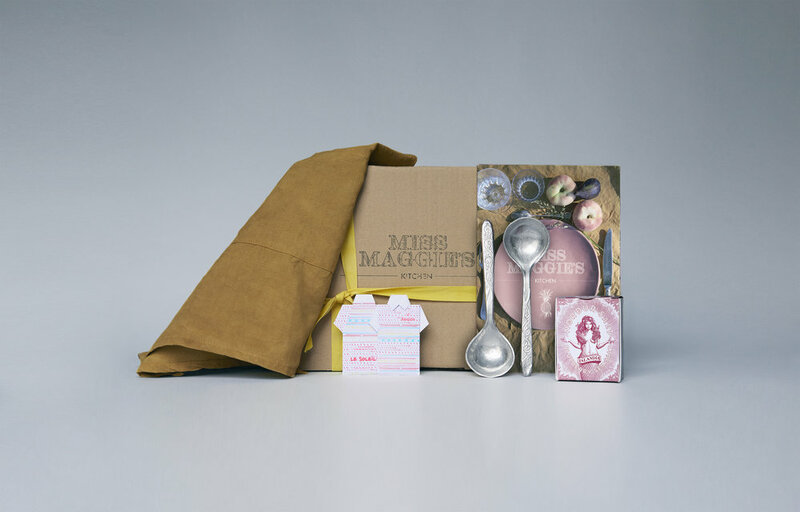 It is a success: she sells out her first edition of Miss Maggie's Kitchen's boxes. For the following edition, she goes back to India with her husband. 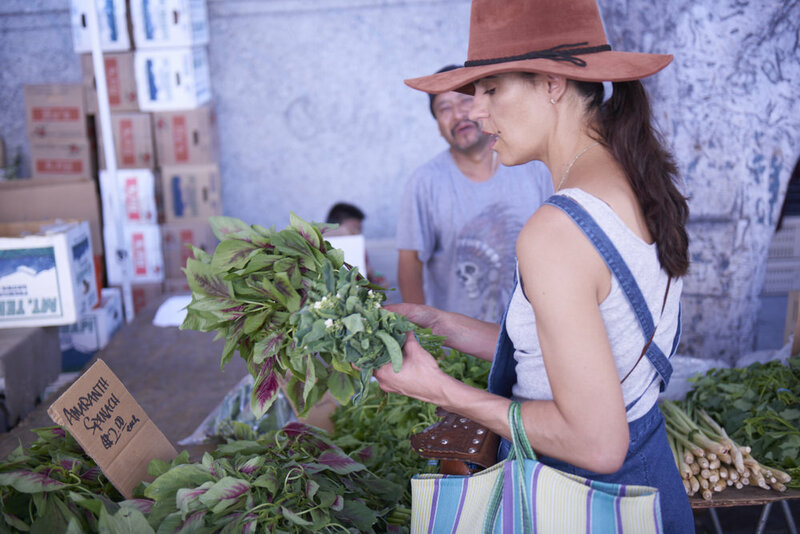 She decides to share the recipes she learns during the trip. She also seizes the opportunity to see how Action contre la Faim works on the field, visiting slums in Mumbai and meeting with the local teams. She meets fascinating people including farmers, whom she connects to the NGO. The India edition, still in small batches, is as successful as the first. It will be followed by the "Dear Santa" box, dedicated to American recipes -- cinnamon rolls, clam chowder -- and French artisans. Her two dominant cultures united, as last. That last edition sold out so fast that a new release is planned in January. She also proposes a subscription for four seasonal boxes, for less than 200 EUR a year, an excellent value for the quality of the objects inside. (And a great gift idea for a birthday or Valentine's Day if you ask me.) Every year a box will be dedicated to honoring the traditional recipes and artisanship of a new country. You can also order a single unit for 54 EUR or the seasonal recipe journal for 10 EUR. Héloise has come a long way since her first 100 Instagram followers. Last time I checked, @missmaggieskitchen had amassed over 8000... The platform has allowed her to reach a global audience. 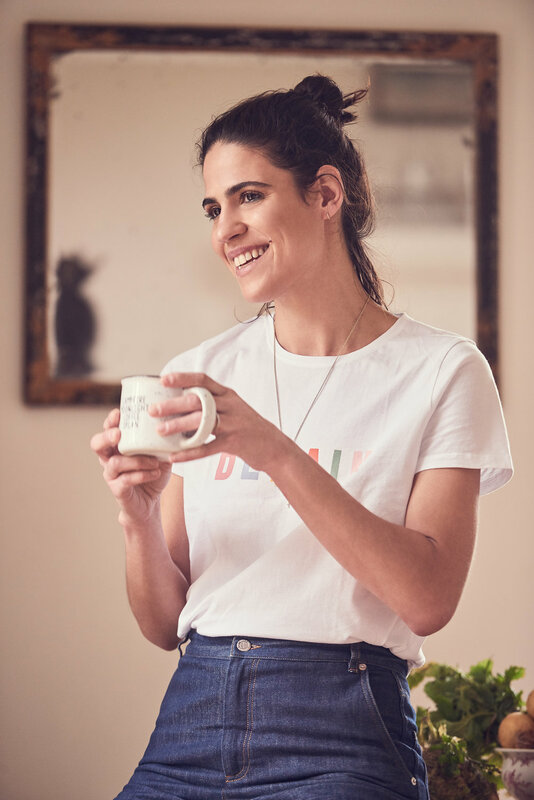 Although her website is currently in French, she receives orders from all over the world. English-speaking readers don’t fret: the website will be translated starting this year. By now several brands have also proposed her to do collabs. Today, Héloise is full of ideas and her young brand is on an ascending trajectory. A year ago, Miss Maggie's Kitchen's success could not have been predicted or planned -- not even by her. Héloise's story is about beautiful encounters. A tale of turning 40 and taking a big leap in the unknown. A reminder to listen to yourself, and when your inner voice is not loud enough, to listen to those who love you the most. Sometimes, a spark alone is not enough. Sometimes, you need someone to give you the air to light up your inner fire. Welcome them with an open heart, and you may be transformed. . .